This blog post highlights changes to the Percona Platform Lifecycle for Ubuntu “Stable” Versions. We have recently made some changes to our Percona Platform and Software Lifecycle policy in an effort to more strongly align with upstream Linux distributions. 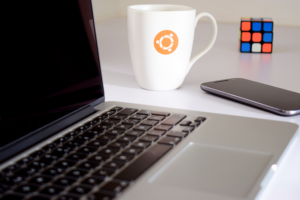 As part of this, we’ve set our timeframe for providing supported builds for Ubuntu “Stable” (non-LTS) releases to nine (9) months. This matches the current Ubuntu distribution upstream policy. In the future, we will continue to shift as necessary to match the upstream policy specified by Canonical. Along with this, as we did with Debian 9 before, we will only produce 64-bit builds for this platform ongoing. It has been our intention for some time to slowly phase out 32-bit builds, as they are rarely downloaded and largely unnecessary in contemporary times. If you have any questions or concerns, please feel free to contact Percona Support or post on our Community Forums.